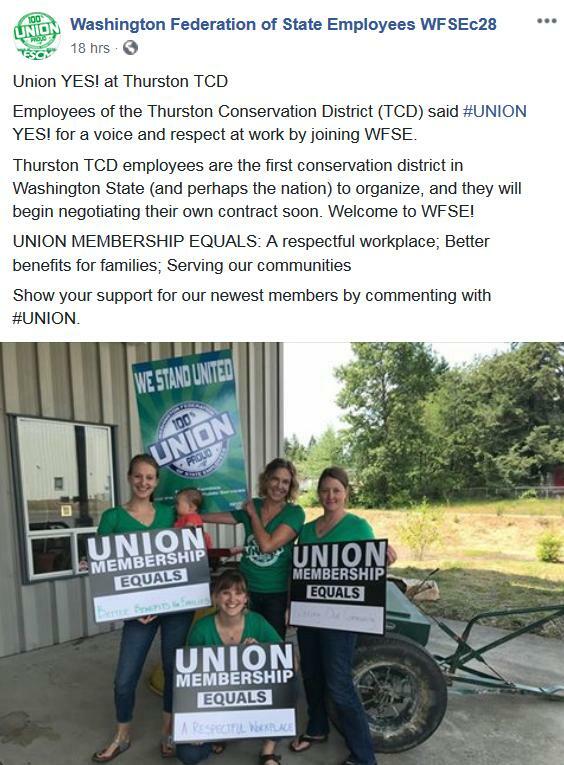 WASHINGTON, Thurston CD – Employees of the Thurston Conservation District (TCD) have joined the Washington Federation of State Employees. 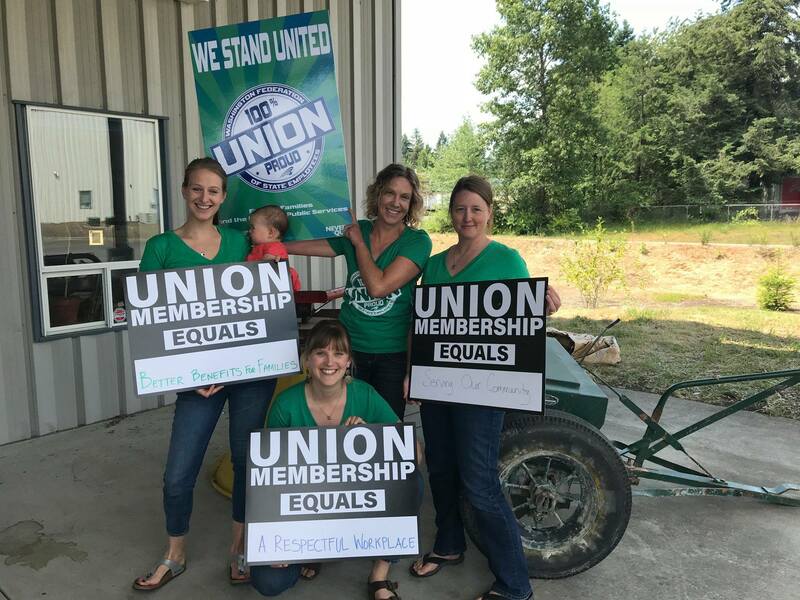 Thurston CD employees are the first conservation district in Washington State (and perhaps the nation) to organize. WFSE reports TCD employees will begin negotiating their own contract soon.